FAYETTEVILLE, Ark. 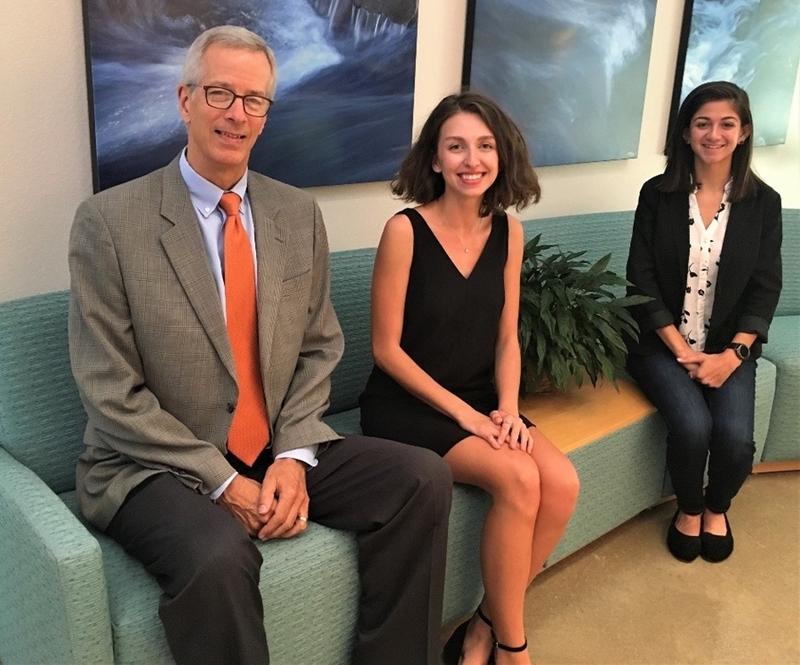 – The Beaver Water District Board of Directors recently awarded Steele-Croxton Memorial Scholarships to three University of Arkansas students. Trent Woessner and Alyssa Ferri of Fayetteville and Emily Sherrill of Rogers each received $2,000 scholarships for the current academic year. The Steele-Croxton Memorial Scholarships provide financial assistance to upperclassman or graduate students in the U of A departments of civil engineering, biological and agricultural engineering or crop, soil and environmental sciences who have demonstrated interest in drinking water treatment, wastewater treatment, environmental or life sciences. Woessner is a senior majoring in biological and agricultural engineering. Ferri is a junior environmental, soil and water science major. Sherrill is a senior civil engineering major. The Scholarship Fund began in 2006 at the encouragement of former Beaver Water District board member Walter Turnbow of Springdale. The scholarship is named in honor of the late Joe M. Steele and the late Hardy W. Croxton. Steele served on the district board for many years and played a pivotal role in founding the district and building the first water treatment plant and the water intake at Beaver Lake. Croxton, served on the board for 40 years. The first $1,000 scholarship was awarded in 2011. Since that time, $40,100 has been awarded. The scholarships are funded by participating Beaver Water District board members and others who contribute to the Steele-Croxton Memorial Scholarships. Each director donates her/his board meeting attendance fees to the Scholarship Fund. The fund is managed by the University of Arkansas Foundation Inc.